Pittsburghers don’t have to stray too far from home to find great food. But if you’re craving a little adventure with your meal, there are plenty of restaurants within a two-hour drive of the city that will nourish a hungry traveler’s body and soul. Pack your appetite, we’re going on a road trip! Rudnick’s Bar advertises solely through word-of-mouth, which is surprising since customers can barely talk after filling up on the enormous eats. If you’re up for a challenge, try tackling the famous one-pound, plate-sized burger or a 22-inch Italian hoagie. Better hurry though … on Dec. 23, 2018, owners Vince and Sue Rudnick are closing their doors forever. Word on the street is that they have BIG retirement plans. When Bert and Julia Sebastian opened their restaurant in 1948, it was a simple place that specialized in ham barbecue. 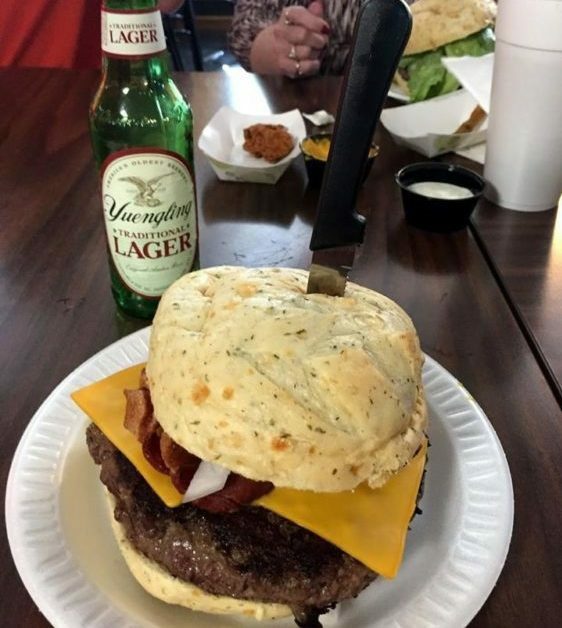 Now in its 70th year, Bert’s Wooden Indian boasts a menu that is bursting with all sorts of sandwiches, entrees, side dishes and desserts, but it’s original go-to can still be ordered as a sandwich or on top of a burger or a salad. See owner and chef Bill Atkinson in action at The Chop Shop, which features an open kitchen where he whips up out of the ordinary dishes. For a quick bite, try the Hare Tacos, coffee-rubbed rabbit smothered in smoked sour cream, house salsa and pickled peppers. Those with an ungodly appetite can order the Eternal Damnation Sandwich: layers of pulled pork, ham, Swiss cheese, sweet pickles and chipotle mayo on a grilled hoagie roll. Feel like a dieting loser? Dive into a Failure Pie, a pile of fries topped with chili, queso, guacamole, mac and cheese and bacon. For the past decade, The Blue Canoe Brewery has been serving up bites and beers to the people of Titusville, Pa. 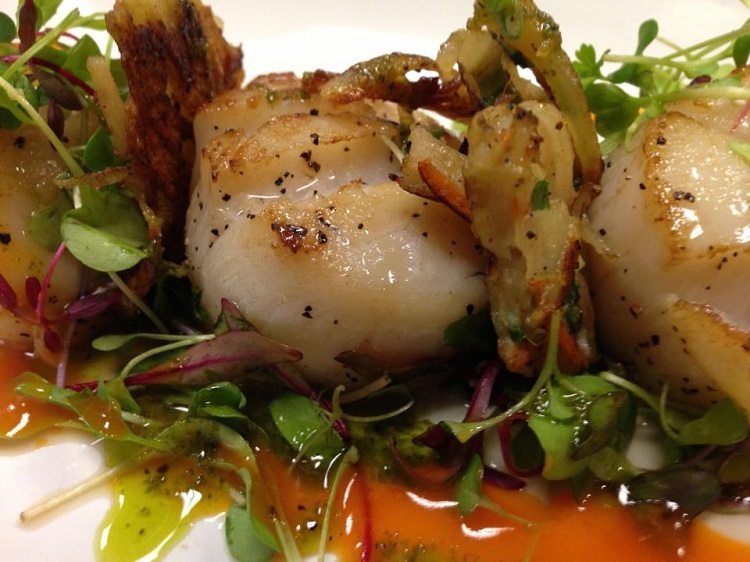 The taps and menu often change, but they always feature fresh ingredients locally sourced whenever possible. Pittsburghers will find familiar foods such as pierogies and a salad topped with fries and cheese, but the kitchen also churns out exotic dishes such as Chorizo Mac & Cheese, Pesto Bucatini and Hamloaf Croque Madam. Dine like royalty at Shakespeare’s Restaurant & Pub. Photo courtesy of Shakespeare’s. Want to get Medieval for dinner? 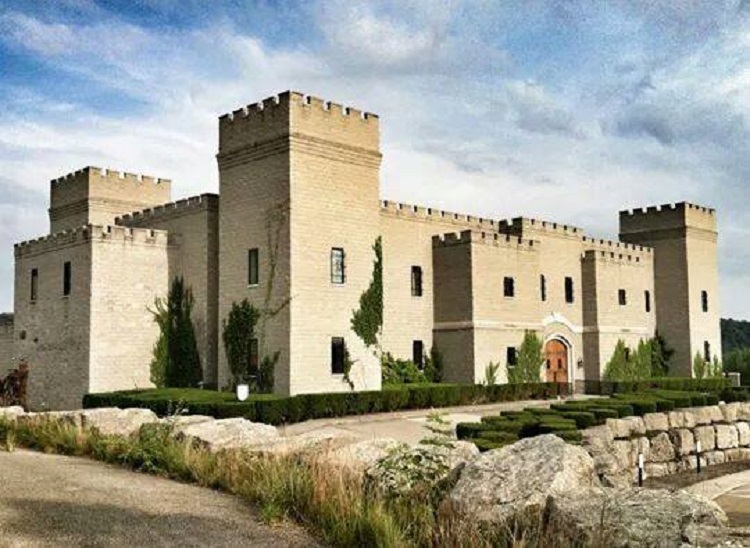 Head to Shakespeare’s, a 16th-century-style castle located on a 269-acre golf course. Eat like King Henry VIII and order the house specialty, an eight-oz. filet mignon atop a garlic crostini with Boursin cheese and caramelized onions, drizzled with a balsamic reduction followed by a dessert of chocolate-filled chocolate cake smothered in chocolate chunks. Wash it all down with a fine wine or specialty cocktail … just try not to lose your head. Main Street Wine Bar in Stahlstown is known for its great good in a comfy atmosphere. Photo courtesy of Main Street Wine Bar. This charmer of a restaurant in Stahlstown is a magnet for Ligonier residents and Seven Springs visitors, with good reason. It’s the quintessential neighborhood restaurant with an inviting bar, sweet terrace and a casual indoor space that is both warm and welcoming. And their food and drink totally rock. In our many visits here, we’ve had one great meal after another, from the perfectly rendered crab cakes to the always outstanding pizza to the fresh, pan-seared halibut. Add to that an impressive wine list, good craft beer offerings and a surprising selection of fine bourbon. Can you say Pappy Van Winkle? All we can say is we wish they would open an outpost in Pittsburgh. 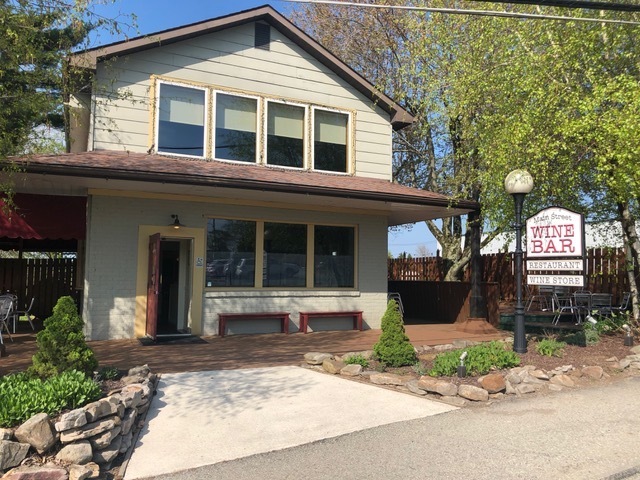 The post 11 road trip-worthy restaurants outside Pittsburgh you should visit appeared first on NEXTpittsburgh.